Home > Blog > Allergies > Why is Louisville, Ky. the allergy capital of the United States? 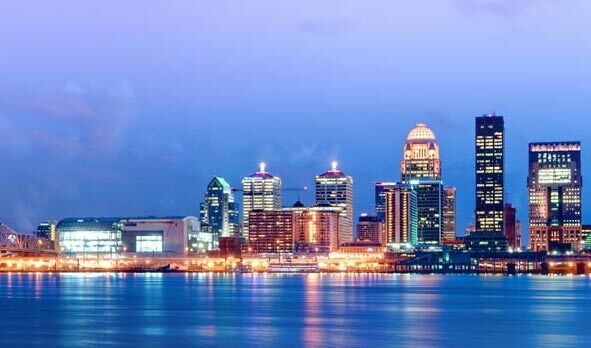 Why is Louisville, Ky. the allergy capital of the United States? Every year, the Asthma and Allergy Foundation of America names the “Worst Cities in the United States for Spring Allergies.” And every year, Louisville makes it into the top 5. In 2014, Louisville was #1. This year Louisville was #2, behind Jackson, Miss. Why does Louisville Top the List? Our famous bluegrass is one factor. While it may make Kentucky one of the prettiest places in the world in the spring, bluegrass gives off more pollen than any other breed of grass. Its springtime pollination is the cause for sniffling, sneezing, congestion and elevated triggers for asthma attacks for those sufferers among us. There are other aggravating allergenic factors we can blame about our region—our proximity to a river basin and the bowl-like structure of the Ohio Valley, our smog ratings, and the humidity that hangs over us in the warmer months– for instance. The effects of climate change also play a role, as pollen season in the spring and fall has lengthened up to 4 weeks over just a few years ago, and the weather is warmer earlier and later in the season. The Foundation calculates it rankings by looking at the number of prescriptions filled for allergy and asthma medications, the number of allergists relative to the population base, and the pollen levels in general. By this measure, Louisville will most likely, always be in the top 10. However, the idea that people who suffer from environmental allergies can get theirs to disappear by moving to a different city is false. There are genetic factors that drive environmental allergies, and people who move to other climes will usually develop environmental allergies in that area too after a period of time. Unfortunately, standard medical treatment such as prescription decongestants/inhalers, allergy shots and a healthy dose of prevention are the only proper defenses against springtime allergies. So, the standard advice still applies. Don’t open your screen doors for air flow, as this bring pollens into the house.. Keep your windows closed. Minimize extended stays outdoors during peak pollen periods, and shower immediately after coming inside when you do. You can check our website for the daily pollen count in Louisville, and the Weather Channel’s mobile phone app for mobile phone often has pollen ratings listed for cities you may visit. Keep current on your prescribed medications and shots. And, as always, keep your hands away from your face, no matter how much you want to rub your itchy eyes. Pollen season may be miserable for allergy and asthma sufferers, it’s true. But, the pollen seasons are usually short, and herald a sunny, hospitable summer or a cooler, scenic fall. It’s time to enjoy. Just know your limits! https://www.familyallergy.com/wp-content/uploads/2019/01/cityscape-louisville.jpg 348 591 Kaitie https://www.familyallergy.com/wp-content/uploads/2017/09/faa-logo.svg Kaitie2015-08-05 15:49:112019-02-11 16:22:53Why is Louisville, Ky. the allergy capital of the United States?